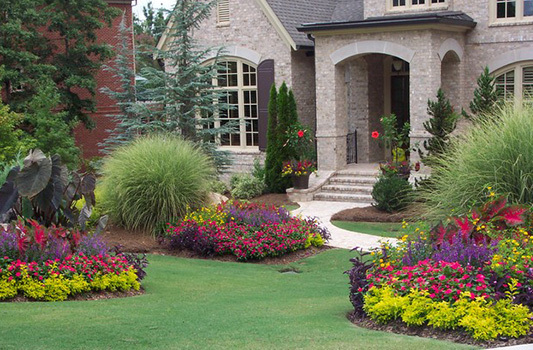 If you’re looking for the best, most reliable Landscape Installation Contractor, you’ve come to the right place! We bring over 20 years of experience and a skilled team of the best talent in the Northwest. Excellent customer service, and quality craftsmanship is our reputation with the customers around the Puget Sound. 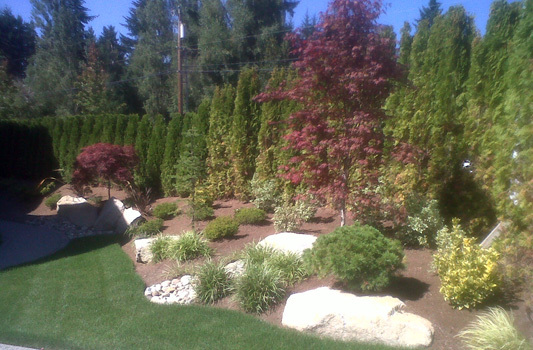 We specialize in yard renovation and hardscape designs, creating beautiful outdoor spaces to enjoy for years to come. We bring your landscape visions to life! Let us create a backyard oasis or give you a low maintenance updated garden. Whatever your goal, we can help bring your landscape visions to life. 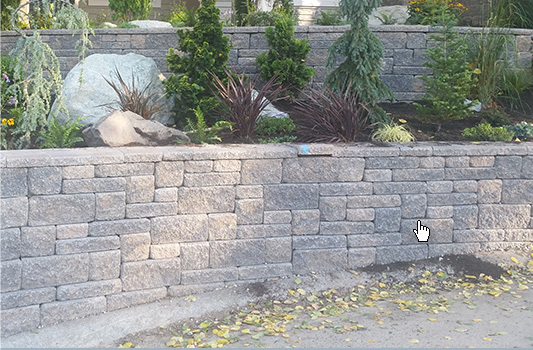 Retaining walls create outdoor spaces that are beautiful to behold and inviting to walk through. They add visual and textural interest as well as a sense of permanence. Retaining walls can be used to stabilize the soil on your property, adding to its strength and overall value. We install beautiful 100% Oregon Spec Rye Grass Sod or DuPontTM ForeverLawn® Select Synthetic Grass. ForeverLawn Artificial grass has taken realism to a new level. ForeverLawn provides a water less, low-maintenance solution that will continue to be realistic, beautiful, and functional for years to come — with minimal upkeep! From an entryway for dramatic appeal, to an outdoor living space for entertaining family and friends, we can design paver projects like no other. 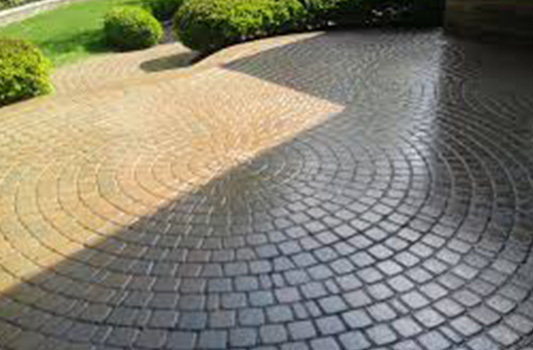 Add distinction and beauty to your home with a paver driveway or a walkway with steps that bring you home. Make a great first impression and improve your curb appeal. Create a beautiful outdoor living space surrounding your back yard pool, to entertain friends and enjoy for a lifetime. Ross and team have done 2 large projects for me. The work included 2 very long retaining walls (replacing railroad ties with stone), putting in an enormous amount of artificial turf, replacing sidewalks with pavers, replacing a large amount of fencing, and putting in a paver/stone fire pit. 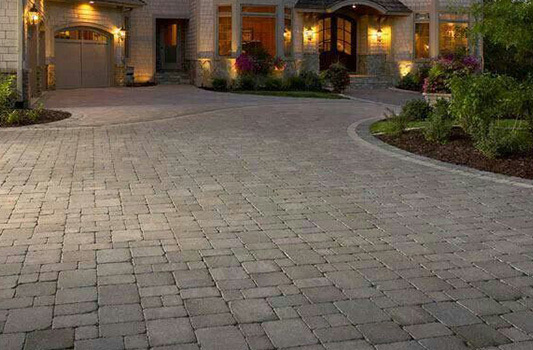 The stone/paver work is impeccable! The crew cleans up daily and Ross is a great communicator. I feel I got a great job for a fair price and that the company stands behind its work. Ross is also open to suggestions and doesn't try to sell you on anything that you don't want - I think he tries to put himself in your place and look at things from that angle. Highly recommend! Western Landscape did an amazing job on our backyard! Ross, and Teresa were very helpful in accomplishing exactly what we had envisioned! They built a very big and long 2 tiered retaining wall, matched the bricks with the retaining wall on the other side of the property. Ross was very honest and did not try to upsale the retaining wall material. We appreciate his honesty. They also demolished a old, very big concrete pad and built a beautiful stone patio with a gas fire pit. Everything about Western Landscape was very professional. They helped us pick out the right color of stones to compliment everything. Art, one of their contractors was great. He and his crew arrived every morning and got down to work right away. They were very skilled, knowledgeable. very hard workers, and professional. They went above and beyond to make sure we were happy. They fixed every problem that arised. I would recommend Western Landscape to everyone. We came across WL&P at the Seattle Home Show in Feb. After getting three estimates, we went with WL&P as they listened to what we wanted in our design plan and offered viable suggestions to enhance our plans. Working with Ross, Teresa, Art and his crew was a very pleasant experience. We had our patio expanded and front/back yards redone, and were amazed that it was all done in five days. Even though WL&P's estimate was not the lowest, we went with whom we felt most confident and comfortable with. They were very efficient from the beginning with Ross' initial walk-through, Teresa at their office who is very knowledgeable and can handle a lot of the details, and Art and his crew of hard workers who made it all happen. We are extremely delighted with the outcome and now can enjoy our new patio/garden wall for years to come. We would highly recommend WL&P and already have to neighbors and co-workers. My husband and I found Western landscaping and Pavers at the Seattle Home and Garden show. We went with Ross after getting several bids from other contractors. We have been more than happy with not only Ross, the office ladies and the hard working crew of Jesus and Havier. Ross was very honest and extremely trustworthy. He responded promptly to any questions we had. In addition, to checking in on the progress throughout the construction job. We put in a new front walkway, front porch and backyard patio. We have been happy with every step of the job. The crew was polite, hardworking and cleaned up each day. As the job is coming to an end, I was impressed at how my yard was put back together with great care. The crew also took the time to save my plants, and even apply new soil over the garden beds. I will not hesitate to call Western landscape and Pavers in the future. I strongly recommend Ross and Western Landscape and Pavers. I had them come to do some hardscape work. They did a really good job! When getting the bids, they were priced well below competitors. The team did a great job and had great clean up when they finished. The foreman came to check on the job each day and answered all my questions. I was told it would take around 5 days for my project, but they completed it and had it cleaned up in 3 days. They started on the project when promised also. Everyone that has seen the patio thinks it looks very nice. I will be using them again in the future for another project! I recently hired Ross to install a driveway and pavers leading to the front. After receiving numerous bids I decided to hire Ross. I could not have been more happy with the original bid from Ross. The job was handled very professionally and was completed on time. From excavation to prep to installation, everything went as planned. Teresa in the office was very easy to deal with and all the other workers were very professional and more than happy to answer questions along the way. If you're looking for a new driveway, patio, etc, look no further. Thanks for going the extra mile. I had a Patio/ Walkway project. All crew members very respectful and professional. That speaks volumes for Ross and who he wants the clients to work with. Ross and crew were professional , flexible, and responsive. Results exceeded my expectation, and prices were competitive. I would gladly rehire Ross for my next landscape project. Copyright 2019 Western Landscape and Pavers | All Rights Reserved.